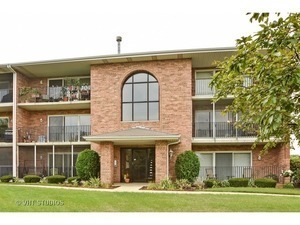 Marvelously located first floor unit now available in Oak Forest! Located at 158th and Central, this unit is perfectly located for someone who wants ease of commuter travel via Metra station, or I-57 or I-80! Conveniently located near Jewel Foods and Food for Less, for ease of grocery shopping as well. This unit offers two bedrooms and two full baths. The Flexicore construction gives you added peace from neighbors above. The large patio can be fenced in for summer enjoyment as well. The Master Bedroom offers a full bath and two closets also. The large eat-in kitchen features all of the appliances staying with the unit. Or you can dine in the formal Dining Area looking over the patio area. A one car detached garage completes this great opportunity for you!